by wangdu on October 5, 2014 in Rigul Trust. We are pleased that we are able to share with you some photos of the fruits of our recent support in Rigul village. 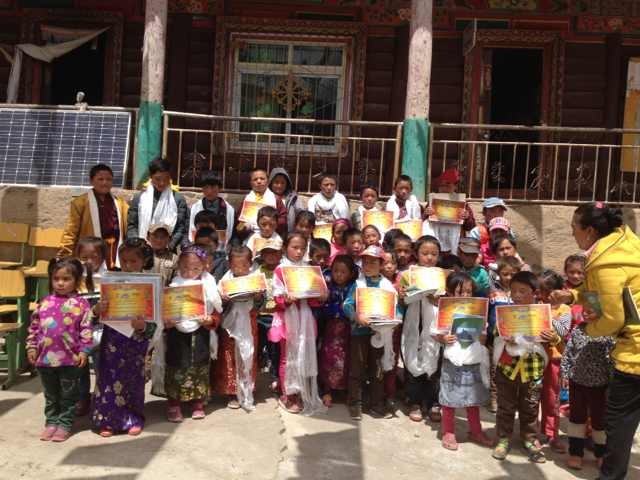 Our patron, Ringu Tulku Rinpoche, has forwarded some photographs and says that the school is doing very well. The people of Rigul send their heartfelt thanks and immense gratitude to everyone who is supporting the school and clinic and the basic sanitation projects. Thank you for all your support and we wish you all the very best.